International Dog Show Praha 13.11.2005:. Djingi - exc.1, Best Veteran. He has finished his Czech Veteran Champion title. Jacko - at his show debut - very promising 1 (baby class). Villi - V1, Best Veteran. 18.10.2005 - puppies in kennel Gaba Ponya of our friends were born. Sire is EW, ICh. Tashi Bodjul H'Aran Horpa, dam is Djomo Gangkar Berenike (WW, WJW, ICh. Tschal-pa's Am-chou Dawa x Ch. Pam-Zamirin Fimbu Simone). One black male puppy is available to loving home. were tested for patella luxation with result 0/0 - free! 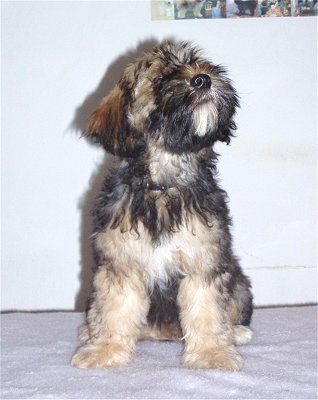 Tibetan Terrier Special Show Mlada Boleslav 22.10.2005:. Jamyang - exc. 1, CAC, Special Show Winner, BOB. 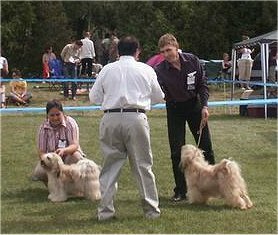 International Dog Show Ceske Budejovice 09.10.2005:. Jana and Bara, well done! National Dog Show Brno 25.09.2005:. Great congratulations to owners of female Tashi Bodjul Ishadhara !!! Ishadhara gains her International Champion and Hungarian Grand Champion. who wins the qualify for Crufts !!! Djingi's son Kubik (Cublay-Khan Djomo Gangkar) has visited us. 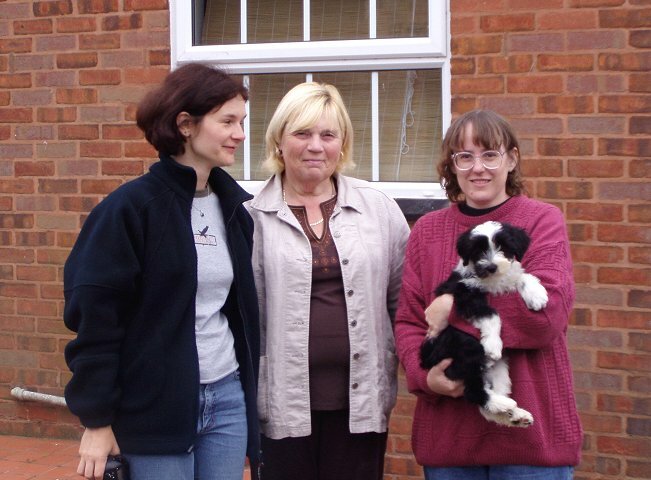 07.08.2005 - young english boy Jacko came to Czechia! We present with pleasure our new boy Alilah Jackanory. He will live by our friend Magda Srutova, she is his co-owner. 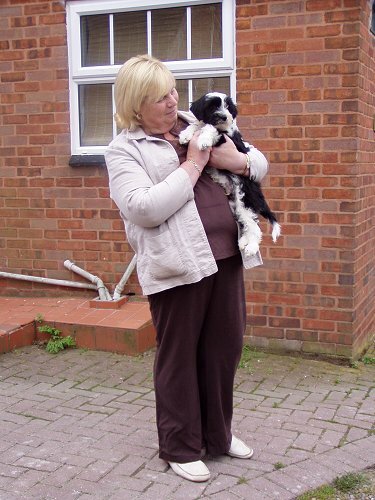 Jacko came from the top english kennel Alilah of Mrs. Pat Tempest (web site). 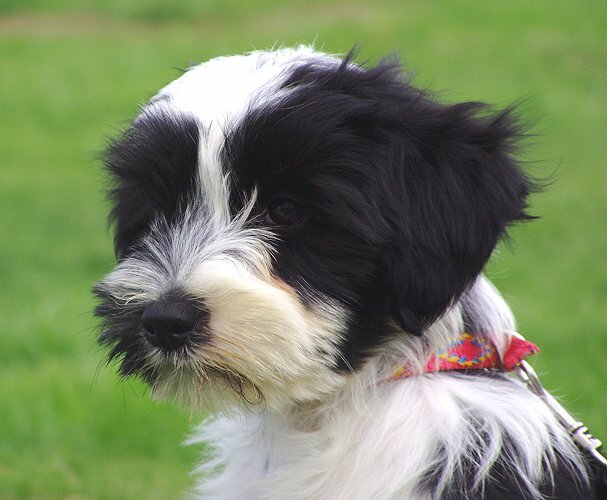 He is 12 weeks old, and his parents are the really outstanding Tibetan Terriers - Alilah Freddie and Alilah Caprice. Pat, many thanks for your kindness, help, and above all for this lovely boy !!! Jomi was really succesful - exc. 1, CAC, CACIB, BOB and also BIG 5 !!! TT were judged by Mrs. Bozena Ovesna, BIG was judged by Mrs. Brigitte Bregenzer from Austria. 42 TTs were entered, Mrs. Alena Kostalova was judged. 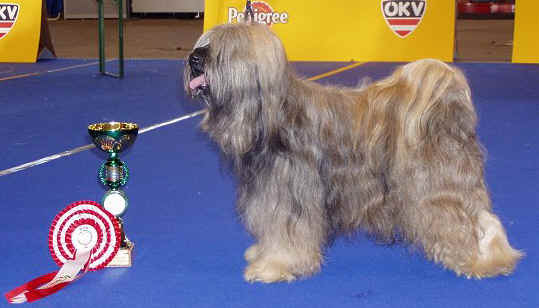 Best Tibetan Terrier Sobeslav 2005 and Best in Show. Our Jomi - exc. 1, CAC, Club Winner 2005 and Best Female TT, BOS. Hinayana - exc.1, CAC (open class), Jomo Lang-ma-ri - exc. 2, res.CAC (open class). Sincerely congratulation to all and many thanks !!!! 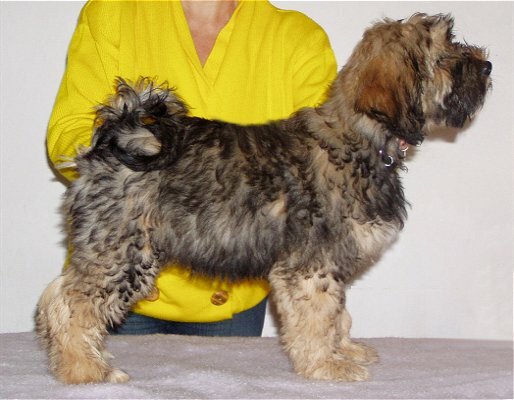 Two dogs from our breeding were shown here and we are very proud of their successes. Our Aran was excellent 1, CACA, CACIB, European Champion 2005, Best male and BOB !!!!! because the competition was really high quality. Bretany Masinial, daughter of our Aran and Eni, was excellent 3 from 10 females in the junior class. There was only our Aran at this show and he was again successful - CACA in the excellent engaged champion class. Jominka - CAC, CACIB, BOB and gains her International Champion title at two and a half old !!! Her sister Jomo Lang-ma-ri - CAC and has finished her Slovak Champion title. Brianna Masinial - CAJC, BOB and a BIG selection! Ch. Ala-ba'tog Go-kar - BOB (the other successful descendant of our Villi and Djingi). Bainna Masinial - CAJC, finished Polish Junior Champion and Junior BIS !!! Bretany Masinial (daughter of our Aran and Eni) - CAJC, finished her Slovak Junior Champion title and BOB ! Bainna Masinial (daughter of our Aran and Eni) - also Club Junior Winner. Tashi Bodjul Jomo Lang-ma-ri - V1, CWC, Best female, CACIB - finished Polish Champion. Bainna Masinial - Junior Winner and BOB! Apollo and Bainna have finnished Polish Junior Champion. Magda, Ania and Agnieszka, sincerely congratulation!!! Tashi Bodjul Jamyang - V1, CAC, CACIB - finished Czech Champion. 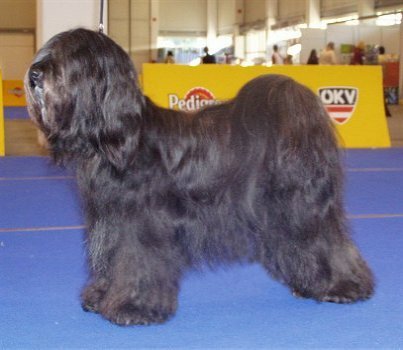 Dendrobates' Lynette (granddaughter of our fabulous Villi) - V1, CAC, CACIB, BOB - also finished Czech Champion. Best congratulation to Martina and Bara!!! 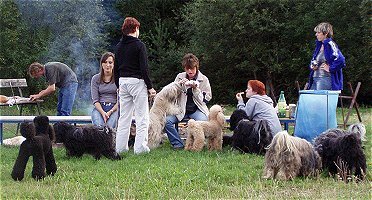 European Dog Show Tulln 2005 - gemeldete Hunde hier (only German). Results of the Crufts 2005 here. 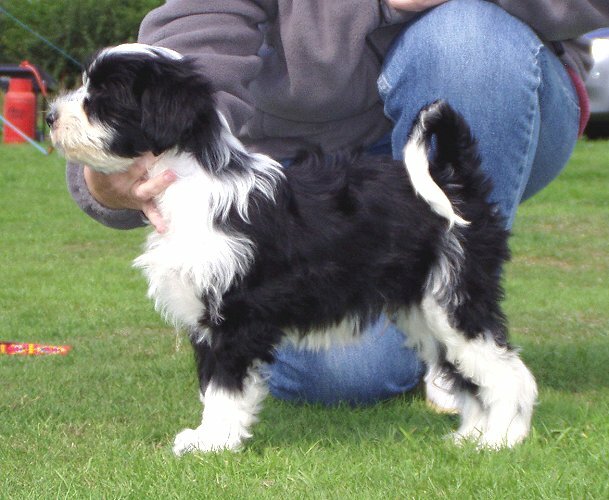 Best of Breed was a male Ch. Araki Fabulous Willy. New puppies are born in the kennel Masinial. Bainna Masinial, daughter of Aran and Elaine, aged 11 months - BOB. 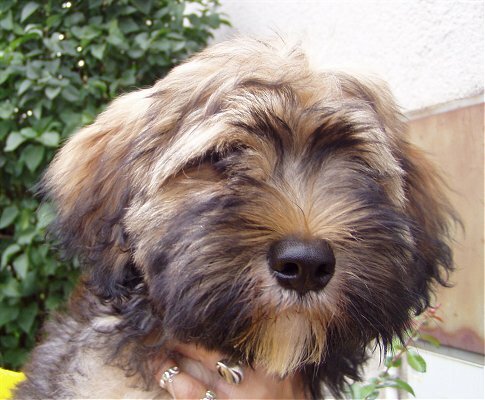 and also Top Tibetan Terrier of the Year 2004 in Hungary. 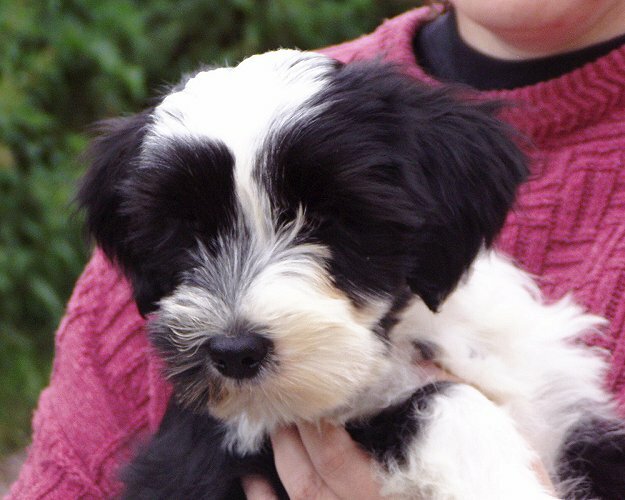 She got into the TOP 10 club competition only 2 and a half months after having 10 puppies! Ibolya and Robert, big congratulations !!! 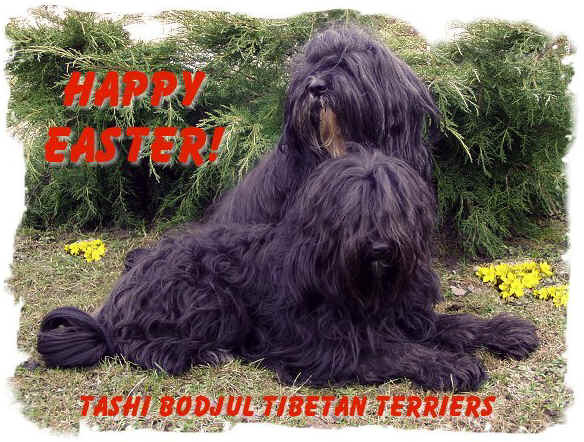 Updated links to Tibetan Terrier breeders. 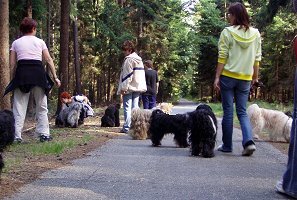 We can already find the finnish kennel La-Fon - dad of our Villi has lived there. our Jomi - exc.1, CAC, CACIB and has also finnished the title Czech Champion. 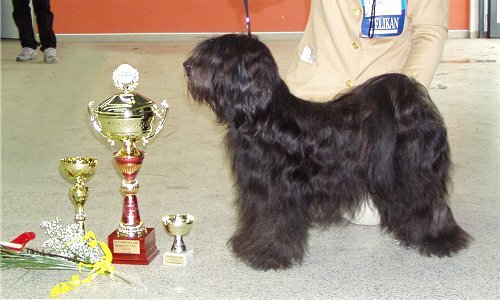 He-ru-ka - exc.1, CAC, CACIB, BOB and finnished the International Champion. 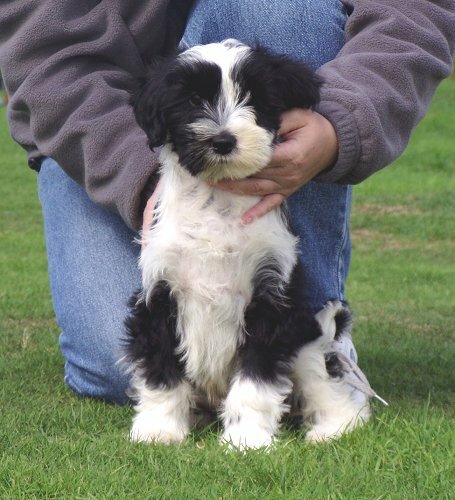 her brother Jamyang - exc.1, CAC, CACIB, BOB. 5 x CACIB, 1 x r.CACIB, Danubius Winner, 10 x CAC CZ, 3 x CAC SR, 3 x CWC, 2 x CC, 17 x V1.